A graft which extends from the columella and all the way to the anterior portion of the nasal tip. This provides tip projection, definition, and tip support. 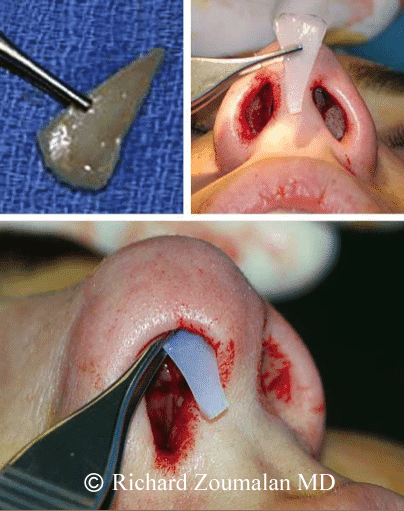 These images show placement of the Columellar strut tip graft (extended). These images were taken from Dr. Zoumalan’s publication with Dr. Norman Pastorek, who has used this endonasal rhinoplasty technique for decades.